Shoreline Fire, along with the rest of WA-Strike 5, was on its way home from the Woolsey Fire near Malibu CA when an extreme fire weather warning was issued. The strike team was requested to hold up for a few days and assist with vegetation fires and structure protection during the event. 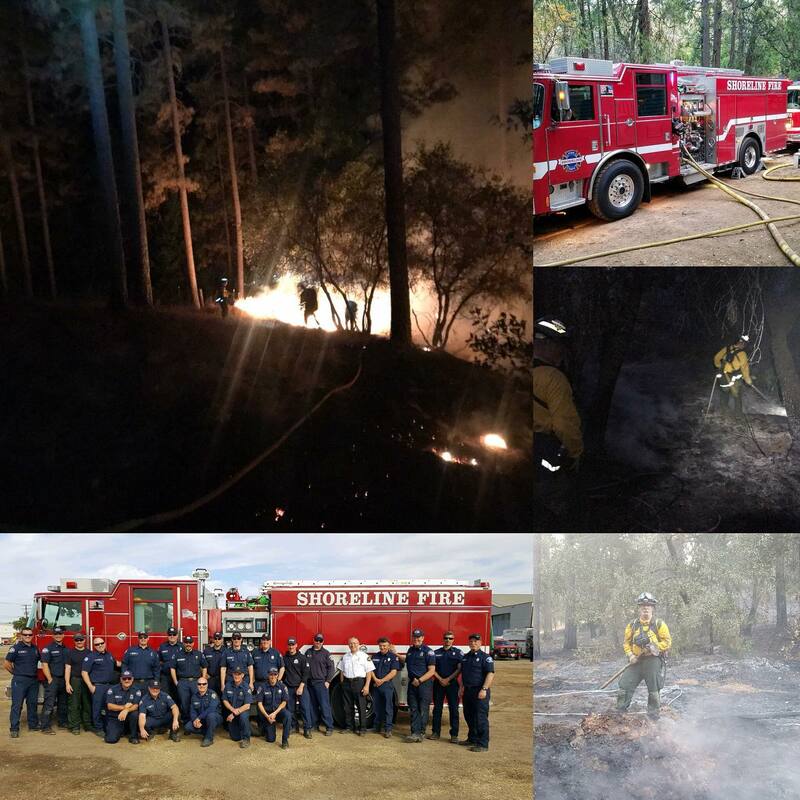 The crews were dispatched to multiple fires, and have been glad to help CalFire protect the citizens of CA. They are home now, after nine days in California and they have learned a lot.